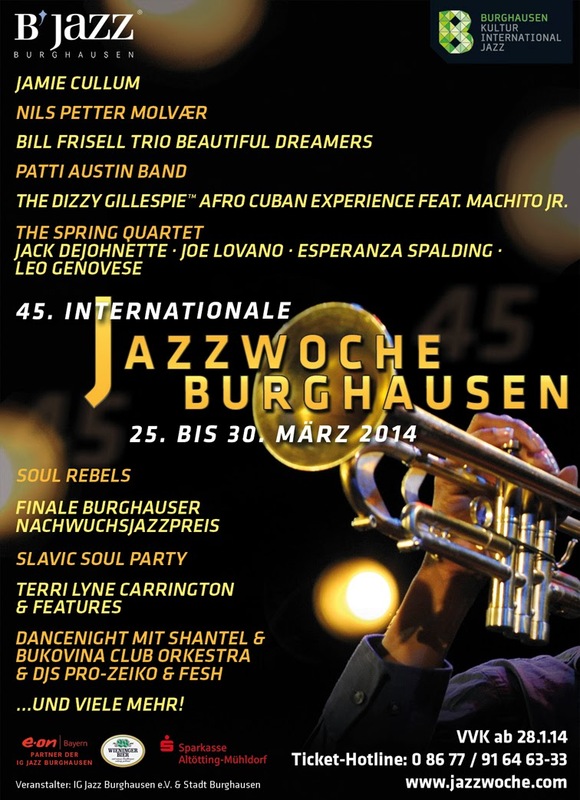 The five finalists in contention for the EUR10,000 European Young Artists' Jazz Award Burghausen 2014 have been announced. The five include two UK groups. One UK group has previously won this award, Beats & Pieces Big Band in 2011. The competition takes place in the Bavarian town's festival on 25th March.